« Major Peanut Butter crisis happening in this household. When I see the image below my heart gets all flustery and my brain just can’t think straight. Now a lot of you know that I have just recently started couponing. Ok…probably about five months ago. Since then I have learned a lot of valuable information and how I can save my family a TON of money. First of all, let me back up. The reason why I started couponing was because my husband and I were going through a very rough financially hard time in our lives probably around Christmas time. He got laid off and we just weren’t sure what God had in our future as far as a job outside of the church was concerned. Saves me so much time and money! So now I usually pick the grocery store that is going to give me the best deals and go there and price match the other stuff at Walmart. That’s the condensed version of it. I was shopping at Walmart today for a few things (and by few…I really mean few…my cart wasn’t filled) and proceeded to go to the checkout. I usually go to the younger looking cashiers because they tend to know that they are doing when it comes to price matching. I got in line behind some other people that were price matching and waited patiently. I did this because I knew that they were going to be a bit and I could get everything organized. While in line there were several people who came up behind me to get in line and I kindly told them that the people in front of me were price matching and that I would be too. I told them that it would probably be a while. I do this so people don’t stand there and wait and wait. Seriously…I”m being kind. I would want somebody to do that for me. A lot of people would grumble some sort of complaint and go to the next cashier but I’ve had people stand behind me anyway. I’ve proceeded to tell them again and they still either don’t hear me or just choose not to believe me. Then I listen to them sigh and sigh and complain…but hey..I figure if I’ve told them twice then that’s not my fault that they don’t seem to want to listen to me. After I was done price matching and going through the cash (the cashier was a really nice guy and I made sure I thanked him for being patient…I try to do this so they understand that I really appreciate that they don’t get mad or annoyed at me) I proceeded to go out and wait for hubby to pick me up. While out there this group of people that were behind me in line in the story and that I kindly told them that I was going to be a while (even though technically I was maybe five minutes) came out and they were talking and saying “I seriously hate people like that…people that have to watch every penny”. (This was a lady that I had told that I was going to be a while and she went to another cashier). She didn’t know I heard her…she didn’t even know I was there until after she said this..and then she pretended like she didn’t say anything. I felt like going up to her and saying “Lady, do you know why I coupon? 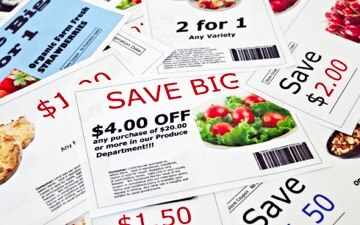 I coupon to save my family money in groceries so that we can do other things that we would like to do!” I felt like saying “Since January I have saved my family over $600 by just using coupons!” But I smiled at her and let her walk away. I’m posting this to let you all know that if you see somebody in front of you couponing don’t get mad at them. It’s not their fault that you are in a hurry…just the same as if you got behind somebody that had two carts of groceries. It’s not their fault that the cashier might be a little slower or not know some of the couponing policies. They are trying to save money because seriously…now a days every penny does count (or will until we have no more pennies…hahah). The price of gas is crazy and you can’t tell me that if it dropped drastically in price you wouldn’t be the first in line to get the best deal.